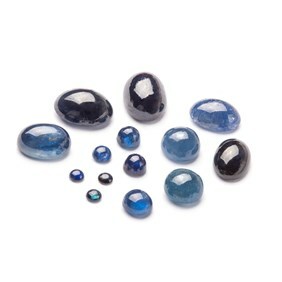 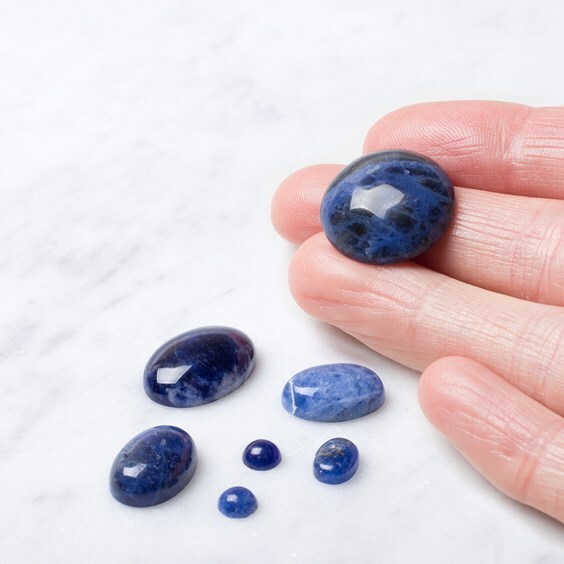 Natural sodalite semi-precious gemstone cabochons with a domed top and flat back. 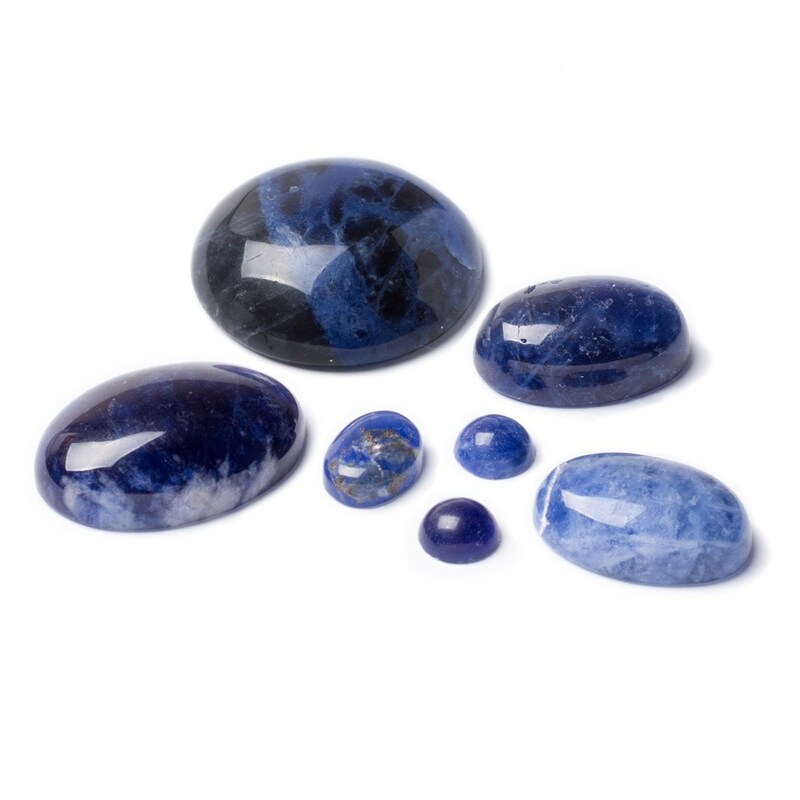 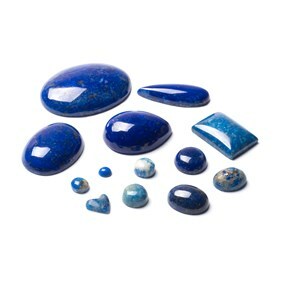 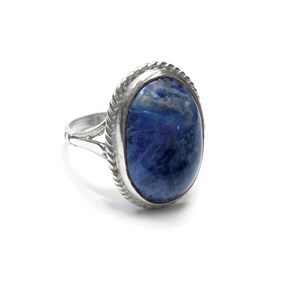 Sodalite ranges in colour from royal blue to navy and often has white veins of calcite running through the stones. 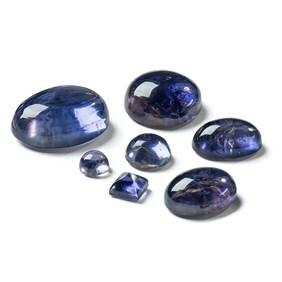 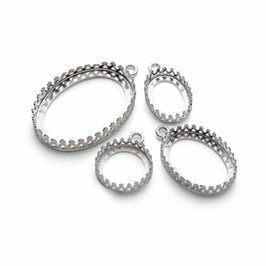 These lovely interesting gems in a popular colour.